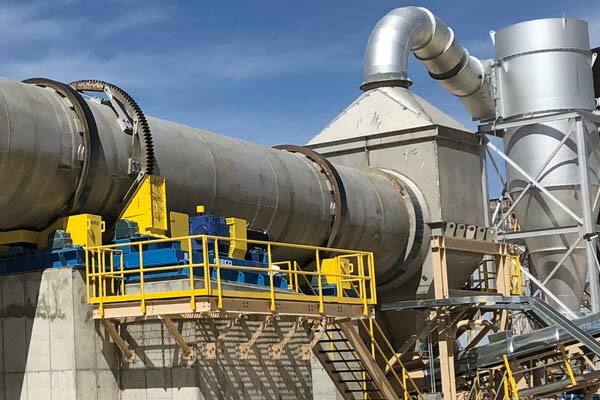 Rotary dryers are used prolifically throughout bulk solids processing applications – from fertilizers and soil amendments, to minerals, specialty chemicals and more. In fact, new applications in which rotary dryers are being implemented are constantly on the rise. Whatever the application, rotary dryers are often supplied as a system, with the dryer being accompanied by several pieces of support equipment. Sometimes referred to as “dryer islands,” these systems foster seamless operation through ensuring that the rotary dryer is properly fed and meets the required exhaust handling specifications. The typical support equipment that makes up a complete drying system is outlined below. In addition to our custom rotary dryers, FEECO can provide the listed equipment as part of a complete drying system. All direct rotary dryers must be equipped with exhaust gas handling equipment. The level of exhaust gas handling required is based on the unique emissions requirements of the material being processed, combined with local, state, and federal regulations. Design of the exhaust handling system will differ based on the level of treatment needed. Depending on the requirements, the exhaust gas handling system typically consists of one of the setups listed below. However, no matter what type of exhaust gas handling system is employed, an induced draft (ID) fan will be required. The use of an ID fan creates a negative pressure environment, drawing exhaust gas, air and particulates, or “flue gas” through the system and facilitating their removal. When a baghouse or baghouse & cyclone combination (outlined below) are implemented, the ID fan is always positioned after these items so it can be used to draw the exhaust through them. For cyclone and scrubber applications, the ID fan can be positioned between the cyclone & scrubber or after the cyclone and scrubber. It is desirable to place it after the cyclone (and before the scrubber) when the exhaust gas contains chemicals that become corrosive when mixed with water from the scrubber. By doing this, the fan can be fabricated from carbon steel as opposed to a special alloy. 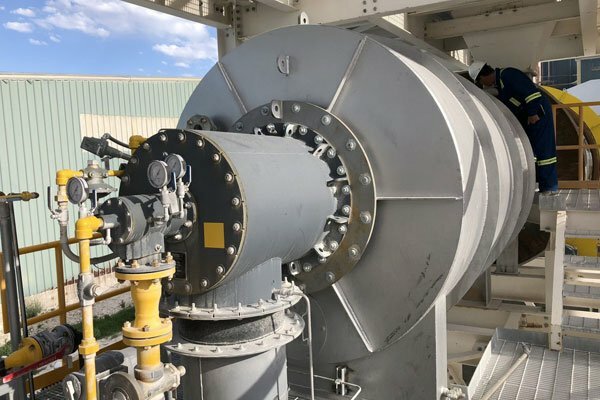 The baghouse with ID fan is typically the system of choice when there is not excessive carryover or a requirement to treat the exhaust gas for chemical pollutants such as VOCs, fluorine, etc. The baghouse or bag filter collects any particulates that may have become entrained in the process gas and carried out through the exhaust air, which can especially be an issue when a high airflow velocity is combined with a fine material. Preventing the release of captured particulates into the atmosphere is a critical part of emissions control. Not only do baghouses aid in air pollution control, but they can also be used to reduce wasted product; the dust and fines collected by the baghouse can often be recovered and reintroduced to the process, mitigating any waste lost as dust. In some operations, operators may choose to implement an agglomeration circuit to process baghouse fines or send them back to the process as recycle. In the baghouse + ID fan configuration, the baghouse is positioned immediately after the dryer and before the ID fan. When excessive carryover exists, the baghouse and ID fan are preceded by a cyclone to provide optimal exhaust handling. Cyclones use centrifugal force to separate out larger dust particles. Incorporating a cyclone into the system prior to the baghouse increases dust and product recovery. For this reason, this system is particularly beneficial when maximum recovery of dust and product is desirable, such as when working with a highly valuable material. Cyclones first remove the bulk of the larger particulates, leaving the baghouse, which is not ideal for dealing with a lot of carryover, to filter out the remaining dust. As a result, this setup can help to prolong baghouse life and reduce the frequency of maintenance since the cyclone reduces the burden on the baghouse by handling the bulk of particulates. Furthermore, this setup allows baghouses to be effective in situations where they otherwise could not due to incompatible material characteristics (again because the cyclone removes the bulk of entrained material before the baghouse). A cyclone combined with a scrubber and ID fan can be the best option when chemical pollutants are present. Unlike the two aforementioned systems, which are considered dry handling, the cyclone and scrubber combination is considered wet handling. The scrubber utilizes a fluid solution (often water) to clean contaminants and particulates from exhaust gas. 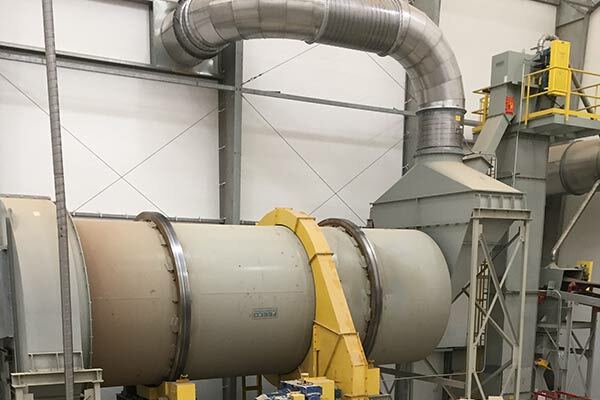 In this setup, the cyclone serves to remove the majority of the particulates, while the scrubber removes the remainder, along with any harmful chemical components. The image above shows the discharge end of a rotary dryer. 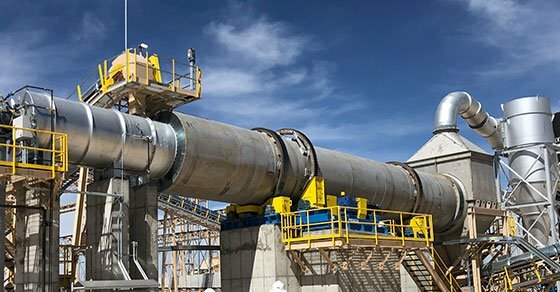 Ducting carries air and particulates out to a cyclone and baghouse, while a troughed belt conveyor collects material from the discharge to carry it to storage or transport. In direct rotary dryers, a controlled combustion reaction is used to produce the process drying gas. This will always require a burner, and in some cases, a combustion chamber. The burner provides the source of combustion, using the fuel source, along with combustion and dilution air to create a combustion reaction that produces the required energy. Burners can be designed to accept several fuel sources, including natural gas, propane, diesel, and more. In some settings, waste heat from various sources can be used to preheat combustion or dilution air to improve burner efficiency. The combustion air required to assist in the combustion reaction typically comes from a blower forcing air into the burner. The burner heats up the combustion and dilution air to produce the necessary process drying gas. An air-to-air or steam-to-air heat exchanger can be used to raise the temperature of waste heat, allowing it to be fed in as the combustion or dilution air, reducing the burden on the burner and increasing efficiency. Combustion chambers are not required in all settings, but can be a valuable add-on. Combustion chambers serve to house the combustion reaction and direct the airflow into the dryer (either co-currently or counter currently). Implementing a combustion chamber can offer a number of benefits. Perhaps most importantly, the addition of a combustion chamber can promote a quality product by preventing contact between the burner flame and the material being processed. Shown here is the burner integrated into the combustion chamber of a rotary dryer for processing frac sand. In addition to the immediate support equipment, various types of material handling equipment will be required to transport material to and from the dryer. 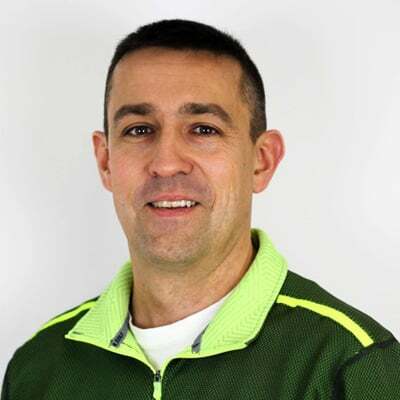 This might include screw conveyors, belt conveyors, bucket elevators, feeders, etc. A bucket elevator (at right) feeds a counter-current rotary dryer. Rotary dryers are a critical component in many industrial bulk solids processing applications. These units often require a range of support equipment to integrate them into a process and to meet air pollution requirements. FEECO is a leading supplier of custom rotary dryers and systems. With experience around hundreds of materials, we can supply you with a complete drying system around your unique process needs. For more information on our drying systems, contact us today.